I think I might have missed the owl trend craze by a little bit. I've heard that roosters are the new owl (although that is almost a year old). I think that is crazy talk. I love owls. Chickens scare me. Hopefully, we won't move onto ducks/geese from here. If we do, I will be the trendiest person ever, because my thrift store is full of ceramic ducks of all shapes and sizes, and I can totally do that for nearly nothing. Anyway, considering I still like owls, I ignored the trend and designed this kit. I'm cool challenged, so I will continue to like owls. This layout is my nephew, Miles, with two of my little guys. Miles is a hoot. He's freakin' hilarious, even though he doesn't really talk much and when he does, they are all one syllables and sound exactly the same. Only my sister has the code cracking skills necessary to understand him. Doesn't matter. He's got a glint in his eye that always makes me grin right back. It's like I don't even have a choice. Thank you so much for this post. I want to let you know that I posted a link to your blog in CBH Digital Scrapbooking Freebies, under the Page 10 post on Apr. 27, 2010. Thanks again. Thanks a lot for this CUUUTE freebie! What an adorable kit! I'll join you in saying I love owls more than chickens too, though I am kind of partial to ducks, considering I have a little girl who pretends to be one most of the day! Thanks so much! OWLS ROCK!! As does this kit!! Thank you So Much! I heard thet the donkey was to be the new owl?? Ducks don't bother me, except when pet ducks have been dumped at lakes and then gone wild and go your kids when your not watching!! I just found your blog and I'll be downloading ALLLLL day! Thank you so much for all of the ADORABLE freebies! Thank you so much for this post. 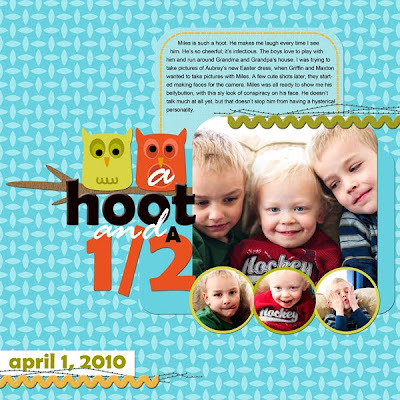 I want to let you know that I posted a link to your blog in CBH Digital Scrapbooking Freebies, under the Page 8 post on Apr. 28, 2010. Thanks again. What a great kit! Thank you so much! 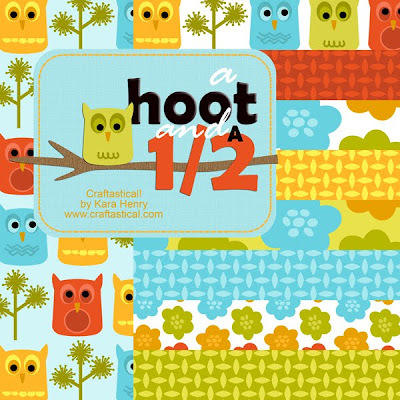 Cute freebie kit! Thanks for sharing it.